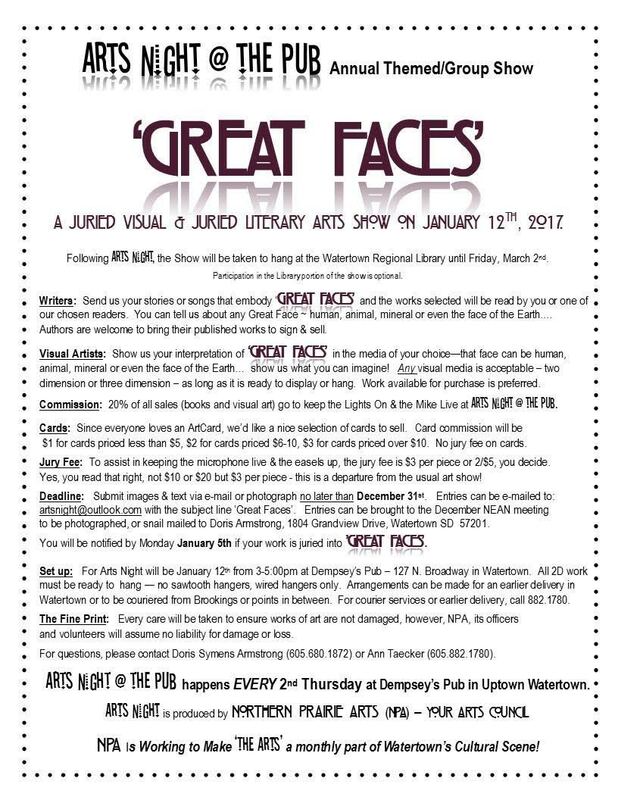 Check out the juried visual and literary arts show sponsored by Arts Night @ The Pub coming up on January 12th at Dempsey’s Pub at 127 N. Broadway in Watertown, SD. Submission deadline is December 31. Contact Doris Symens Armstrong at 605-680-1872 or Ann Taecker at 605-882-1780 for more information. Featured image on home page by Marji Beach, sourced via Flickr under a Creative Commons license.